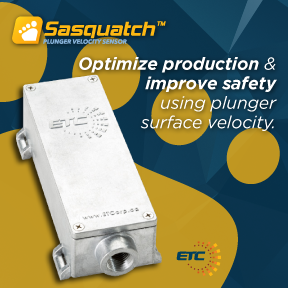 The Sasquatch Plunger Velocity Sensor is the next stage in the evolution of plunger detection. In a plunger lift system, Sasquatch will measure the surface velocity of the plunger in addition to detecting the plunger arrival. Repetitive fast plungers are a common problem in plunger lift causing costly damage to equipment and production downtime. Damage to surface equipment, such as a lubricator breach, can lead to incident reports, spills and injuries. Sasquatch gives producers the power to prevent these occurrences by enabling detection of fast plungers long before they cause problems. To read a related case study, click here. ABB TotalFlow controllers including the XRC and XFC series are common wellsite RTU and flow measurement devices. PCCU is a software program that is the local interface to all ABB field products. PCCU enables one to calibrate and configure all I/O; collect and view historical data files; perform diagnostics and troubleshooting; and program and monitor custom math and logic operations. This application note will detail the device setup so a compatible ABB Controller can communicate with Sasquatch using PCCU. The document will detail how Sasquatch can be integrated into a new controller application and an existing controller application. You will need to download configuration files as well to complete the integration.